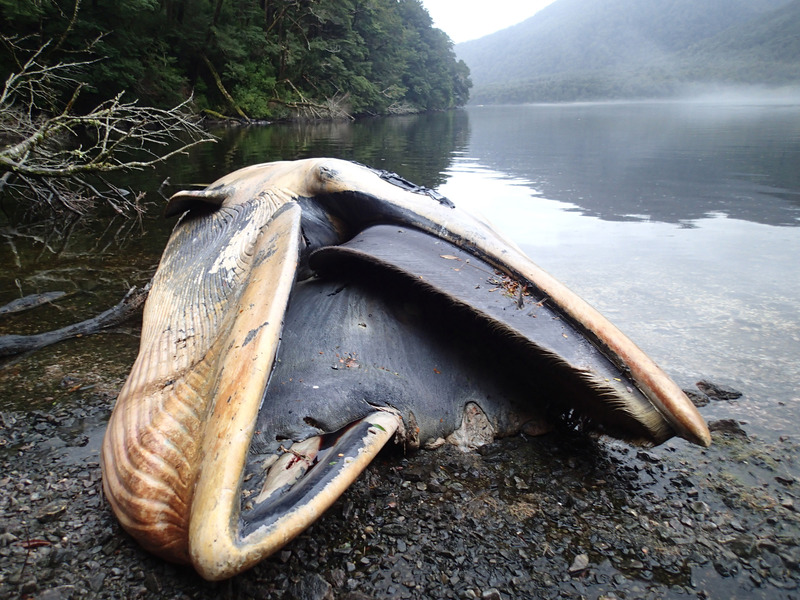 SANTIAGO, Chile -- The coast of southern Chile has become a grave for 337 sei whales that were found beached in what scientists say is one of the biggest whale strandings ever recorded. Biologist Vreni Haussermann told The Associated Press Tuesday that she made the discovery along with other scientists in June during an observation flight over fjords in Chile's southern Patagonia region. The team has been collecting samples since then. She declined to disclose the conclusions, which will be published by a scientific journal later this year. The cause of death of the whales is unknown, although human intervention has been ruled out. The scientific expedition counted 305 bodies and 32 skeletons of whales through aerial and satellite photography in an area between the Gulf of Penas and Puerto Natales. According to the New York Department of Environmental Conservation the sei whale is the third largest baleen whale, behind the blue and finback whales. Sei whales are found in the North Atlantic Ocean ranging from Iceland south to the northeastern Venezuelan coast, and northwest to the Gulf of Mexico, the New York Department of Environmental Conservation says. There are also records from Cuba and the Virgin Islands. They are infrequently spotted in U.S. waters.